The day after we rode the Virginia and Truckee Railway (http://cablecarguy.blogspot.com/2011/07/virginia-and-truckee-july-29-2011.html), we returned to Carson City. 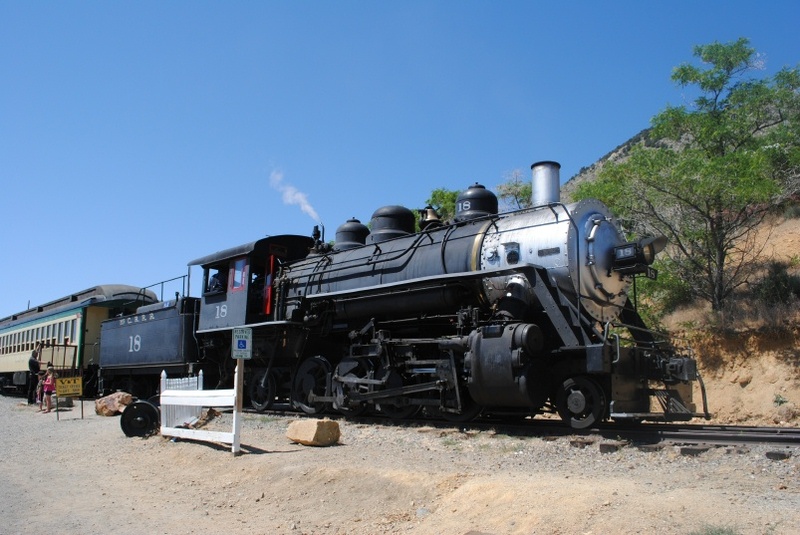 We had breakfast at Heidi's Family Restaurant (excellent French Toast), went to mass at Saint Theresa of Avila, then went to the Nevada State Railroad Museum, which we had not visited since the late 1990s. The main building of the museum had been rearranged to offer more interpretation of railroad history than railroad equipment. I think there were two locomotives, a box car, a coach and a combination car. I think they did a better job of explaining what happened to the Central Pacific than did the California State Railroad Museum. 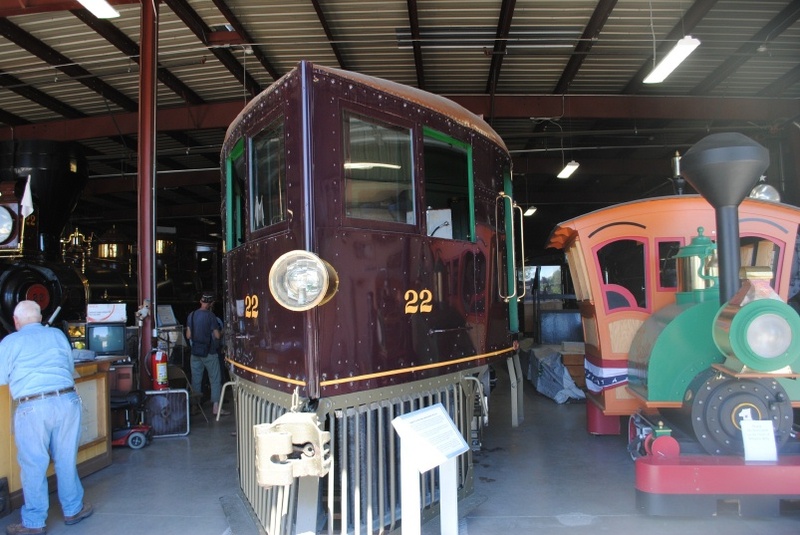 The other building had more equipment, some unrestored, including the Inyo and the recently restored McKeen motor car seen above. It was an impressive sight. We talked to a volunteer about the impression it must have made on people who saw it roaring down the line towards Minden. We rode the Edwards motor car around the line. 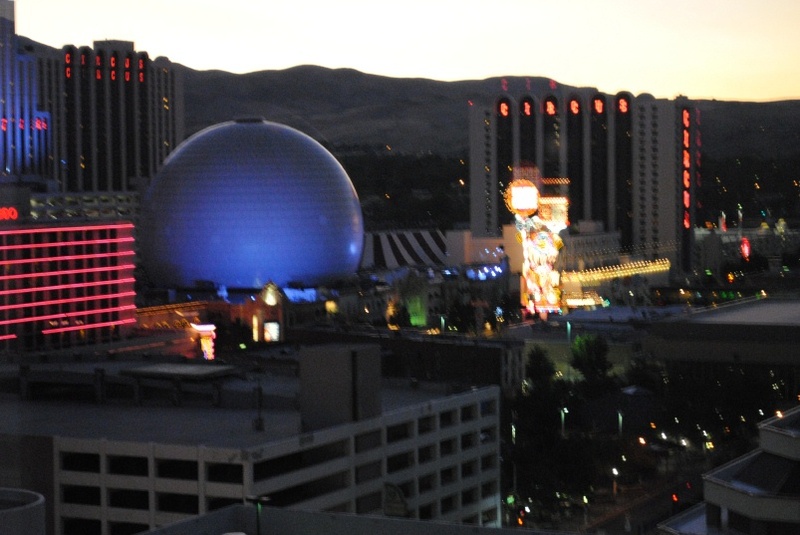 It is no longer painted as the Washoe Zephyr. We drove from Reno (http://cablecarguy.blogspot.com/2011/07/reno-july-28-2011.html) down to the western edge of Carson City, near the garbage dump and Mound House to take a ride on the Virginia and Truckee Railway, which last year began running from Carson City to Virginia City, mostly along the historic right-of-way. The three coach train was full and the weather was hot. McCloud River #18 had to work hard on the way up to Virginia City. There was a long stop for oiling and inspection at Scales. Here 18 rests at Virginia City. The short-distance train to Gold Hill left just as we pulled in. We had from about 11:30 to 2pm in Virginia City. It seemed a bit long. We saw the beautiful restoration work done in Saint Mary's in the Mountains, and the museum downstairs. On the trip down, we saw wild horses. After Disneyland (http://cablecarguy.blogspot.com/2011/07/mickey-mouse-pancakes-july-27-2011.html), we made an epic 12-hour drive (including stops) to Reno. I think we covered parts of I-5 that I had never before seen. We had a nice view from the 15th floor of Harrah's. After seeing Angels Flight (http://cablecarguy.blogspot.com/2011/07/angels-flight-july-26-2011.html), we continued down I-5 to Disneyland, where we stayed at the Disneyland Hotel. There is a lot of work going on at the hotel. We rode the new, improved Star Tours, which includes a revised queue area and randomized rides. We rode the new Little Mermaid ride in Disney's California Adventure. I was sad to see them remove the Golden Gate Bridge in DCA. 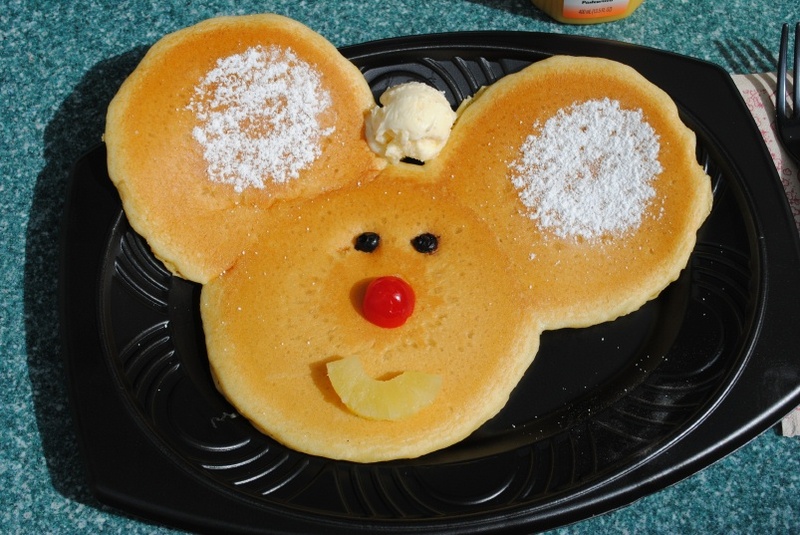 I took the photo of Mickey Mouse Pancakes, which I have once every visit, at the River Belle Terrace. We just got back from vacation. On the day known as Carmageddon, we drove down I-5 to the Los Angeles area. Traffic proved to be fairly light. We visited relatives, then took the Gold Line with them to Union Station. 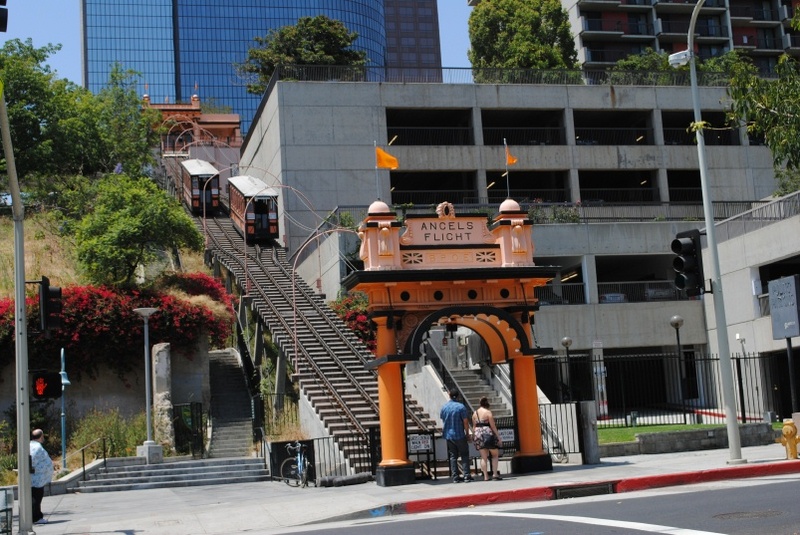 We took a nice walk around downtown, and wound up at Fourth and Hill, the current location of Angels Flight. I've been trying to ride it for years, and was almost frustrated again when the California PUC shut it down last month. Fortunately, it was up and running. I took the photo on 09-July-2011. Whaleback steamers were a fad in the late 1800s. The name Progressist is unusual. 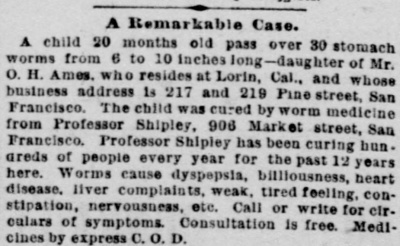 From the 08-August-1895 San Francisco Call. 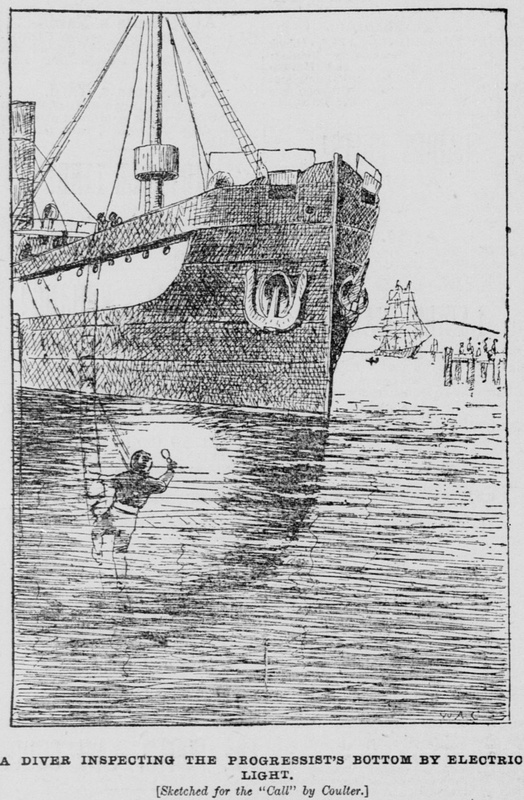 William A Coulter did many maritime drawings for the newspaper. Click on the image to see a larger version. A Diver With Electric Light Searches for a Leak Under Water. Yesterday the visitors on the water front were entertained with the labors of a diver searching the bottom of the whaleback steamer Progressist at Folsom-street wharf for a leak. When he donned his brass and rubber suit and let himself sink down in the bay, he carried an incandescent light in his hand, and by its bright gleam his movements could be indistinctly seen under the water, giving his large audience perched on the dock some idea of the work of men who go down in the sea under ships. The current was generated from the trolley of the Dunsmuir coal cars at the bunkers. The leak was caused by the forcing in of a steel plate near the vessel's bow, and while not large has necessitated the constant use of the steam pump to keep the big ship free from water. The search for the injury will be finished to-day. From the 09-April-1892 San Francisco Call. Hillsdale Mall developer David Bohannon commissioned sculptor Benny Bufano to provide sculptures to decorate the new mall in San Mateo. Bufano opened a studio on the mall site in 1955 and created ten of his famous animal sculptures. 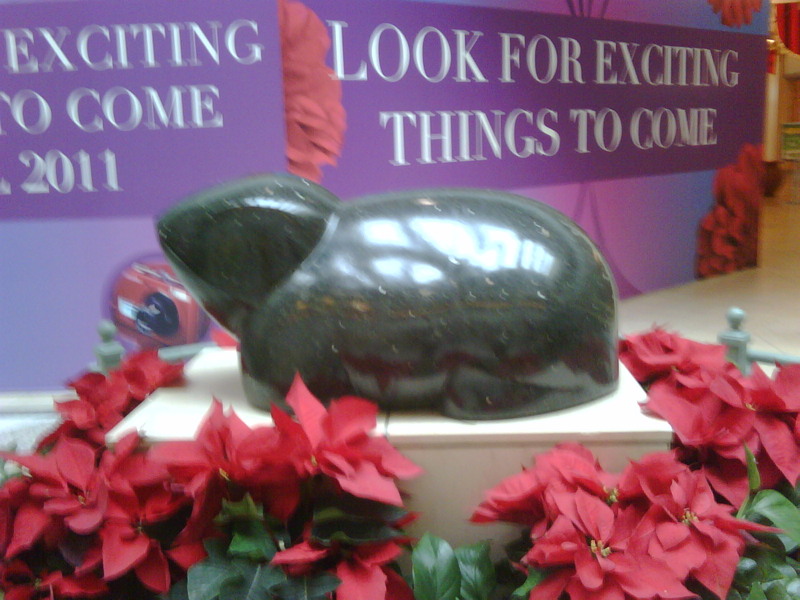 I took this photo of "Frog" on 13-December-2010. The San Francisco Arts Commission (http://www.sfartscommission.org/) has set up a series of posters by artist Elisheva Biernoff representing important moments in San Francisco history and geographic features that lie beneath the developed city. 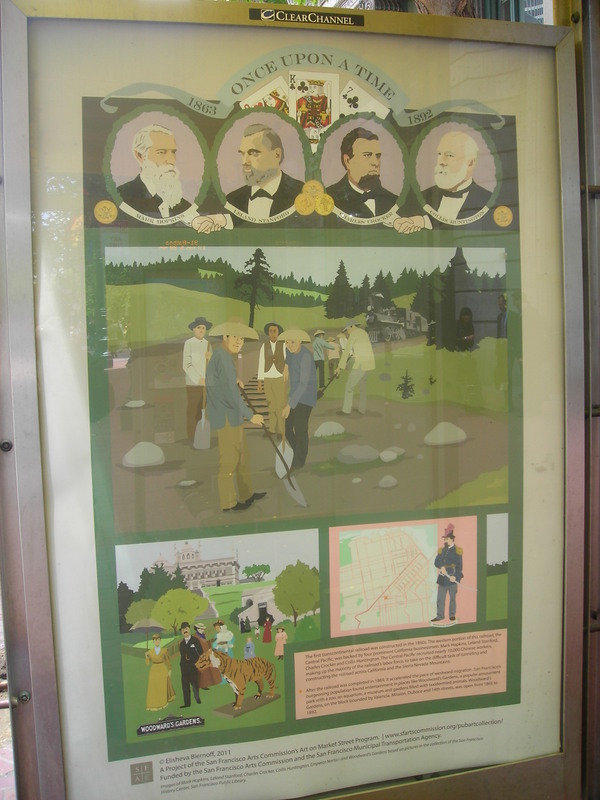 I took this photo on 25-June-2011, showing a poster that depicts the Big Four, the robber barons who profited from the Central Pacific Railroad, and the Chinese laborers who built much of it. It also shows Woodward's Gardens, an early pleasure resort. Click on the image to see an enormously large version. 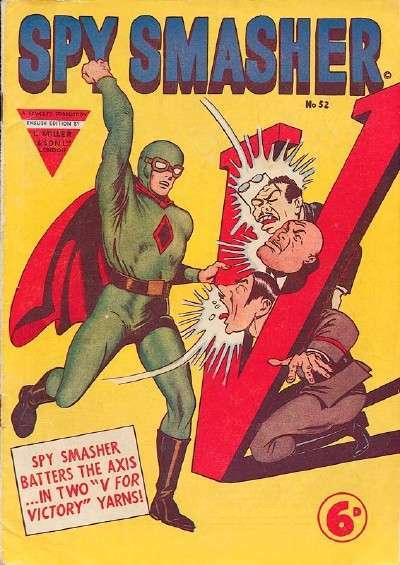 I like Spy Smasher. He didn't have fancy powers. He just smashed spies. He had a cool uniform, too. Here we also see one of my favorite cover subjects, Axis leaders getting their comeuppance. Roscoe Arbuckle appeared in the feature comedy The Life of the Party. I like the variety of photos of his face. The image is from the 28-March-1921 Ogden Standard-Examiner. This advertisement, from the 25-April-1912 San Francisco Call, refers to the next day's sailing of the Yale. Street and Smith was the leading publisher of pulp magazines. 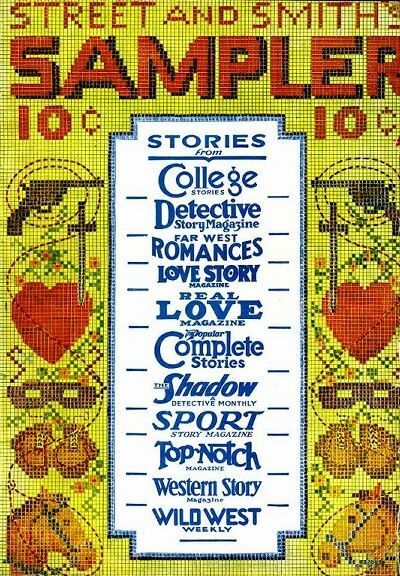 Street & Smith's Sampler, from 1931, was a selection of stories from several of their magazines. This may have been the only issue. I liked the needlepoint images along the edges. Everyone knew Ginger Rogers could dance. I admire the way she worked hard to prove that she could also act. I was never a big fan of musicals, except for two kinds in which she appeared, Warner Brothers' Busby Berkeleys and RKO's teaming her with Fred Astaire. 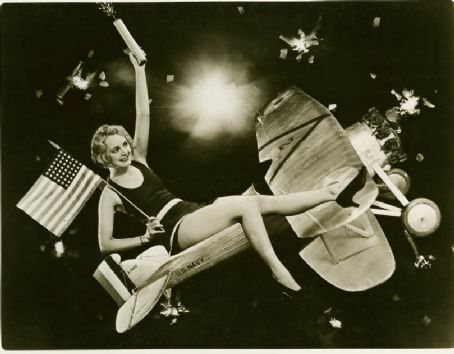 It is a wonderful moment in Gold Diggers of 1933 when she sings "We're in the Money." All of her dances with Fred Astaire are hypnotizing, even though the stories told in the movies are often lacking. The Major and the Minor is a family favorite. There has been a Cliff House at Land's End in San Francisco since 1863. 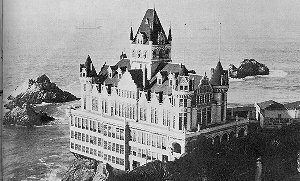 There is some debate over whether this elaborate structure, built by Adolph Sutro in 1896 after the previous Cliff House was nearly destroyed by an explosion, was number three or number two. Historians like to point out the irony that it survived the 18-April-1906 Earthquake and Fire, but burned the next year, on 07-September-1907. In honor of Bastille Day, here is my favorite French actor/singer, Maurice Chevalier, with Jeanette MacDonald in Love Me Tonight. They made several enjoyable movies together. I have always been fond of the Marx Brothers' routine in Monkey Business when they all tried to pose as Maurice Chevalier. I wanted to be Maurice Chevalier when I grew up. A schedule for Central Pacific trains and boats from Sacramento. From the 19-May-1880 Sacramento Daily Record-Union. 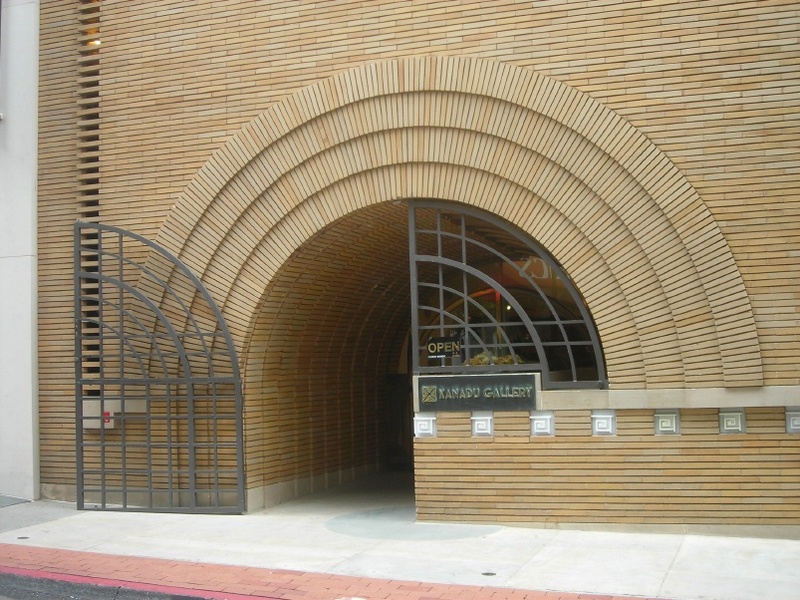 Frank Lloyd Wright designed the VC Morris Gift Shop in Maiden Lane, which opened in 1948. It is now the Xanadu Gallery. I took the photo today. 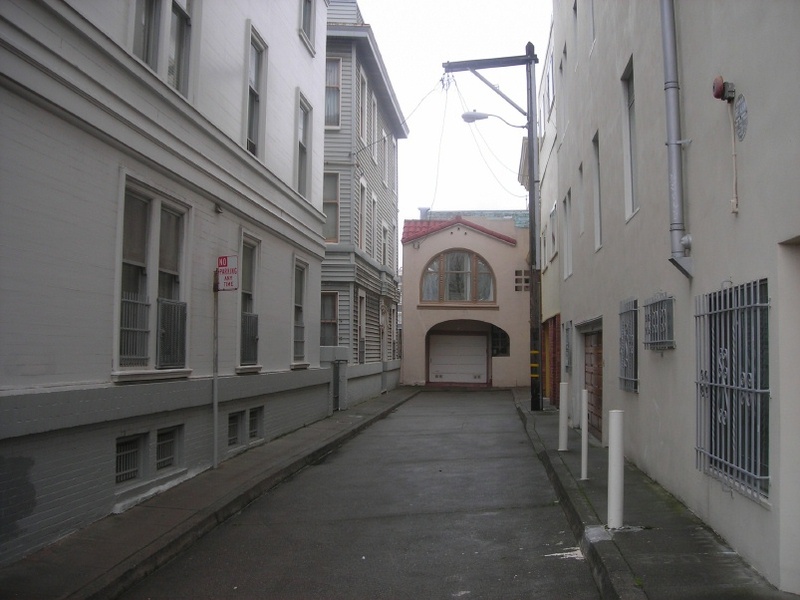 Shepard Place extends east from Mason between Clay and Washington Streets. I like the little house at the end. I took the photo on 11-December-2010. "The American Duchess of Marlborough is not pretty..." I don't think the Duchess of Marlborough in 1889 was an American, but her close relative in-law, Lady Randolph (Jennie) Churchill, mother of Winston was. But she was pretty. The photo above shows her. It was not taken by a Van der Weyde. FAMOUS WOMEN WHO ARE PHOTOGRAPHED IN LONDON. One finds so our world celebrities passing down Regent street on a pleasant afternoon that he keeps bobbing from one to another aad often, loses all. "There goes Lord Tennyson." "Quick! The Duke of Portland was in that carriage. I wonder if that was Miss Dallas-York with him?" "There goes a carriage with royal arms!" "Oh, where? I did not see any of them;" and so on all the time, While I was trying to push to the front a grand carriage drove up to the sidewalk, then another and another; a red carpet was laid down to the door; there was a flash of jewels; some bundles of millinery quickly sprang out. I glanced to the coachmen and footmen; they all bad big posies and satin ribbons in their buttonholes. Then I knew the real reason of the crowd. It was 'drawing-room day" in Regent street. After being presented at court the beauties were coming to be photographed. The London photographers usually receive no other customers on that day. Most of the royalists go to Vander Weyde now. It is a singular fact that Vander Weyde, with this old historic Dutch name, is really an American, who came to London penniless after the war. As the carriages rolled up the crowd increased. Several ladies in the street tried to go up, but were repulsed by the grim servant in livery at the door. When the Duchess of Marlborough swept in the excitement became tremendous and I could stand it no longer, so I found myself following yards and yards of black brocatelle, tulle, lace, passementerie, jets and feathers up the wide staircase to the little Moorish waiting room. The American Duchess of Marlborough is not pretty, but she has a fine presence, and carries herself with grace and dignity, and a little self consciousness or exalted looks, perhaps. She was dressed in court mourning, with the magnificent family jewels, which were once the laurels of a splendid home. I thonght her dressed in the best taste of any of the ladies in the gallery. 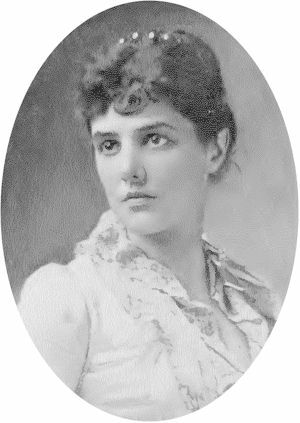 Many portraits of Lady Randolph Churchill hang about, from the simple American girl in white muslin when she first came over to the more mature woman of the world in her court dress, with the star of India blazing on her bosom. The magnificent Duchess of Leinster was there, with her head lifted like a great stag on the alert. Her pictures do not do her justice. She must be seen in the flesh to appreciate her color as well as her form. I heard one stout lady of past 40 say: "Oh, you naughty American, boy, why don't you make me look like Adelaide Detchon or Dorothy Daae? These are two professional beauties that Vander Weyde has made famous. A good deal is expected from him sometimes. Most of his pictures are taken by electric light, and by the use of colored glass which softens and subdues the lines of the face and gives to the skin of each woman its loveliest natural color, and makes some plain women look beautiful. My hour lengthens to two or three, then, when all the trains have departed, I was taken to the studio, where the work of the real artist is seen one might almost say he is a photographer only in play, an artist in earnest, for while he often rushes down to pose some important person he gets back to his painting as soon as he can, and sometimes works until after midnight, forgetting club and society. We had tea from some dainty cups of egg shell porcelain, and I asked him how he became interested in photography. It was by an accident -- a terrible accident. He was a Seventh regiment boy. In the war he was captured, and was in Libby prison for more than two years. 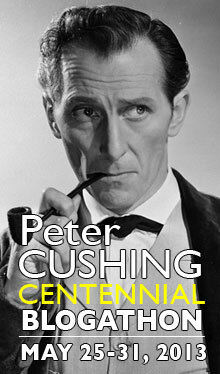 He was always of an inventive genius, and could not be idle even amid the horrors which surrounded him. While there he conceived some inventions which made him a fortune when he came out. Then he spent five years in European travel, and visited many then little explored countries. A sudden change swept away his fortune, he was in London and wondering what to do; chance took him into a photographer's. He was told he could not be taken that day, it was too foggy. Without thinking he said: "Could not one be taken by artificial light?" "There would be a fortune for the man who could invent one," the clerk replied. That night he went to work. His first idea was to collect the rays of the son in a gigantic burning glass; at great expense he had one constructed, hollow and filled with water. The room for experiment was in a north light; had it been under the sun's rays the monster glass could have melted a man to a grease spot. One day while he was seeking there came a terrific explosion, the glass burst, he was knocked down and deluged with water, one of the fragments piercing his arm, pinned him to the floor and severed an artery, while the blood spurted to the ceiling. 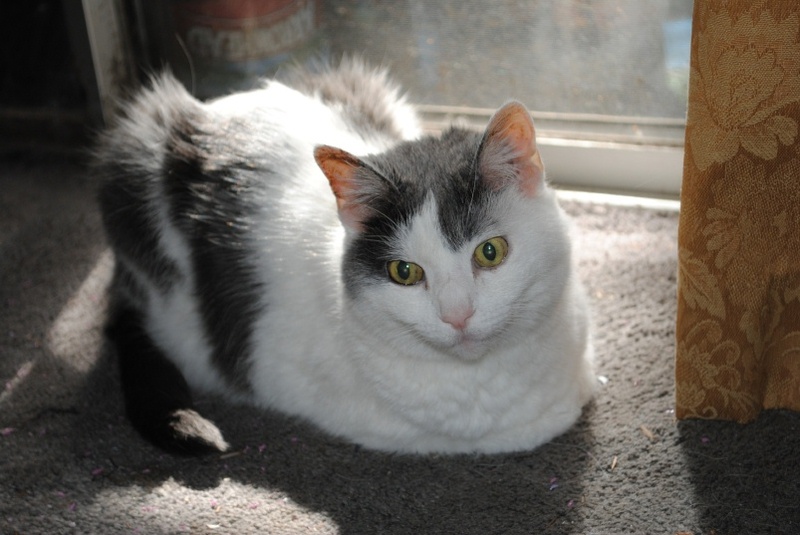 The inmates of the house, hearing the noise, rushed to the room to find him senseless. He was taken to bed and for months lay in a raging fever. The room was locked, and when he was at last allowed to walk he opened the door and found the floor scattered with fragments of glass and the blood stain on the ceiling -- the thought of his days of wasted labor was too much. He fainted and had a relapse. When he recovered he heard that a discovery had been made -- the electric light. This was what he had been searching for. He hired a poor photographer to work for him nights, and at last perfected the invention for which all the court beauties thank him when drawing room day is a foggy one. The pictures produced by it are peculiarly soft and suggestive without changing the likeness of the face, for they need but little retouching. The great advantage is that the light is movable, so that when a pose is caaght it can be experimented with from every point. 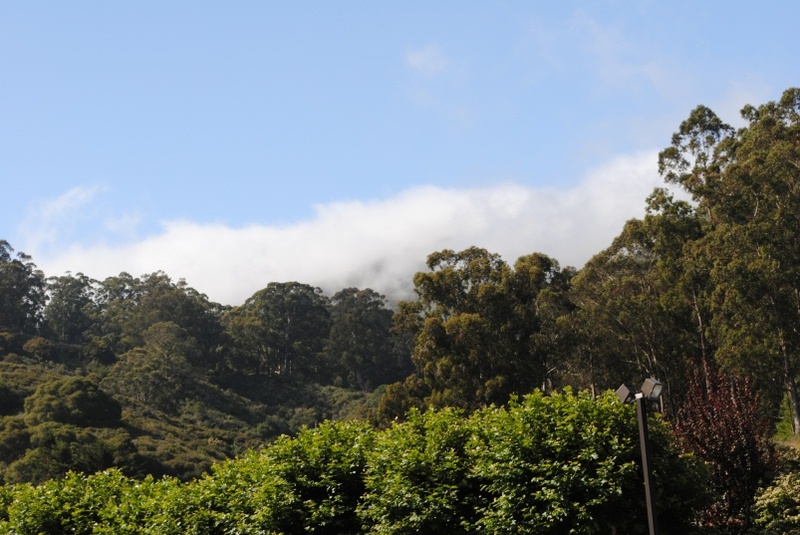 Fog creeps over the hillside near Saint Peters Church in Pacifica. Taken with my new Nikon camera. Space shuttle Atlantis, mission STS-135, left on the last space shuttle journey this morning. I remember when the shuttles began flying in 1981. I remember people commenting that no one thought of it as the world's fastest, highest-flying airplane. I thought by now we would have a successor. NASA photo. 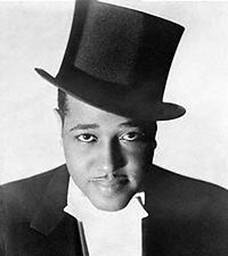 The nickname "Duke" was a perfect fit for Edward Kennedy Ellington, America's greatest composer. The Santa Rosa depot was built by the San Francisco and North Pacific, a predecessor of the Northwestern Pacific, my favorite railroad, in 1904. 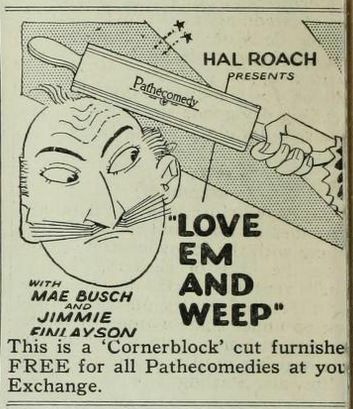 It was the scene of the climax of Alfted Hithcock's movie Shadow of a Doubt. Now it servers as a visitor center. This is my happy tribute to the NWP, which has started running trains for the first time in ten years. 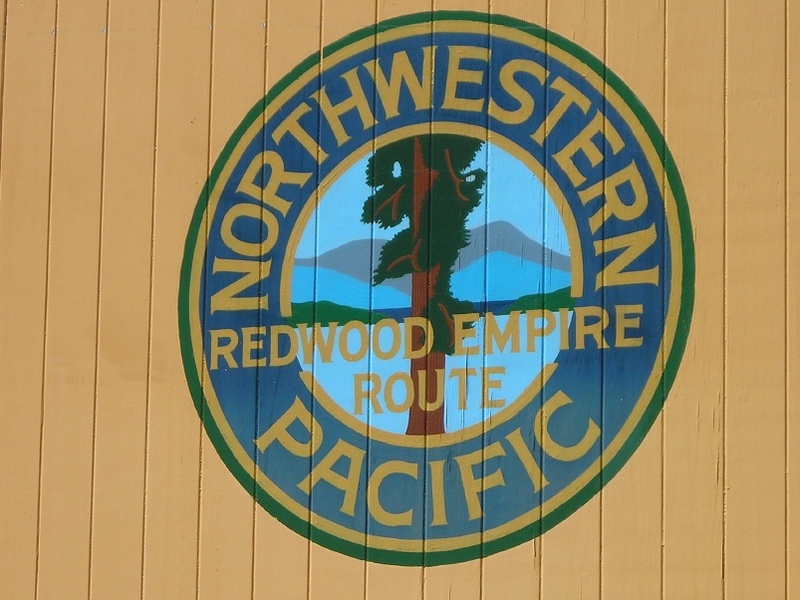 The Trains Magazine Newswire reports that my favorite railroad, the Northwestern Pacific, ran trains for the first time in ten years on 27-June-2011. I took this photo of the classic Northwestern Pacific herald at the Ardenwood railroad fair in September, 2009. It is on the side of caboose 5591. 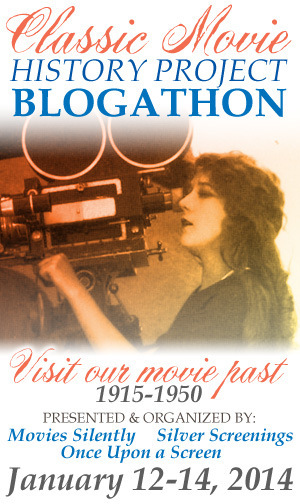 Actress Josephine Dunn played mostly small parts in several movies, including It's the Old Army Game with WC Fields. In this busy photo, she sits on what appears to me to be a Boeing Navy fighter. I welcome corrections. 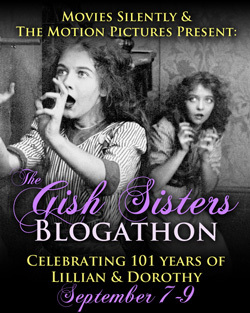 The photo comes from the wonderful site LucyWho (http://www.lucywho.com/). Charles Carter, a native of San Francisco, was one of the great American magicians of the early Twentieth century. He worked abroad for many years. His home in Sea Cliff still stands. 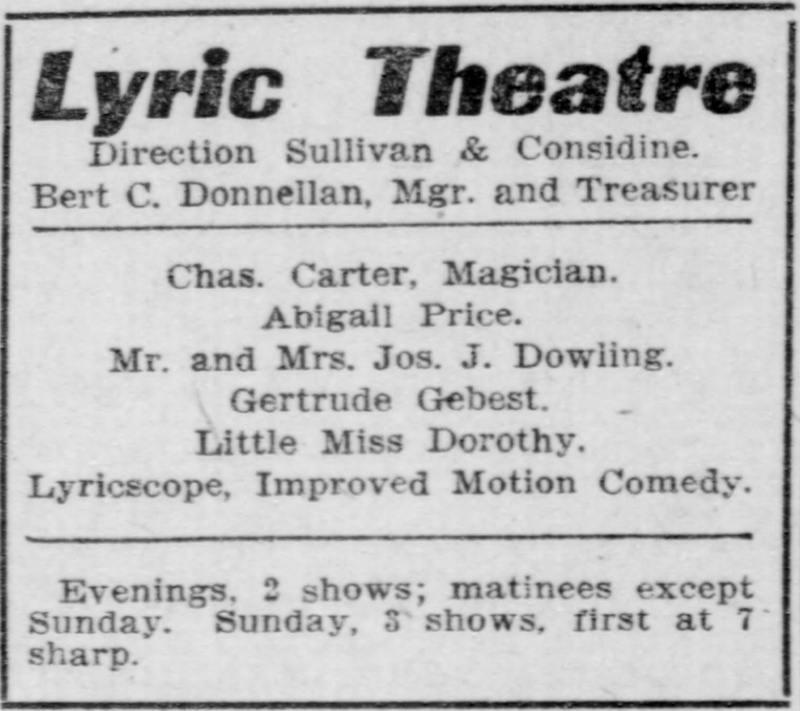 This ad is from the 16-September-1907 Salt Lake City Herald. 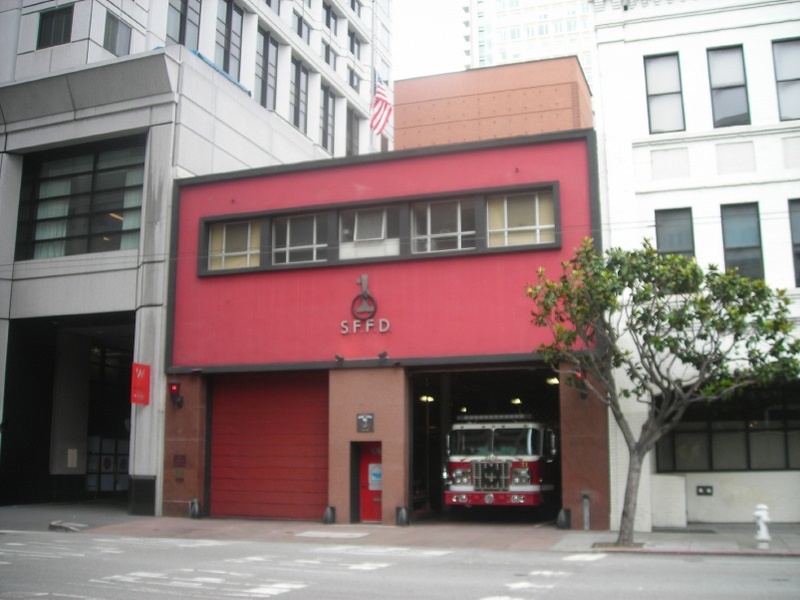 Station One and Truck One wear black wreaths to remember firemen Vincent Perez and Anthony Valerio who were killed in a fire in Diamond Heights. Perez and Valerio were the first San Francisco firefighters killed on duty in eight years and the first to die in a fire since 1995. I took the photo on 06-June-2011. 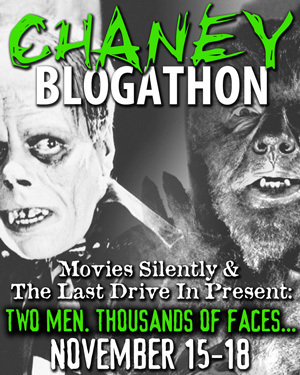 Last month (http://cablecarguy.blogspot.com/2011/06/eagle-man-who-smiles-at-death-june-1.html) we featured an ad for Ormer Locklear's first movie. 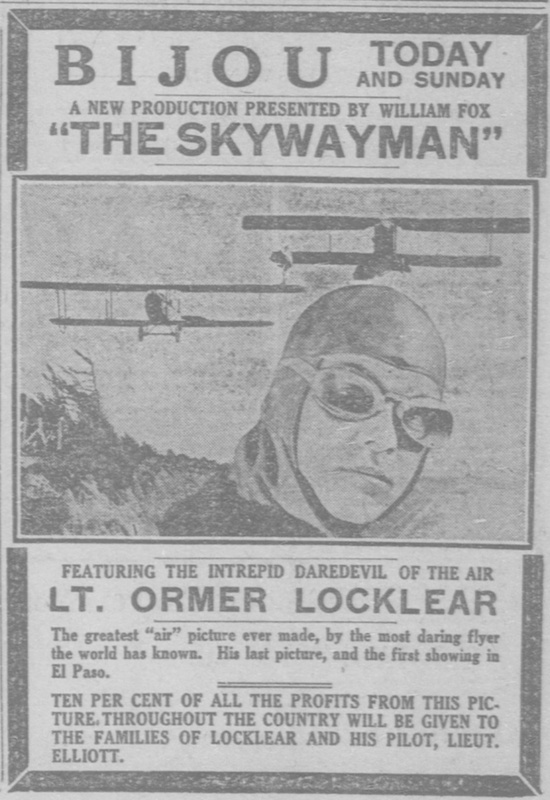 This month we have an ad for his second and last movie, The Skywayman. Locklear and his friend and pilot Skeets Elliot died while filming a night-time dive. The ad notes that ten percent of the profits will go to the families of the two men. The ad does not mention that the crash was included in the movie, which is mercifully lost.